I've put off discussing intelligent design theory, thinking I'd have to learn much to discuss it well. My mistake. ID is an attempt to prove a negative, that Darwinism—read "mutation and natural selection" here—is insufficient to explain how molecules eventually became man. Intelligent Design doesn't defend a literal interpretation of Genesis, which is most Christian's objection to Darwinism. I use "molecules to man" on this page as a description of what Darwinism is trying to explain. I don't mean that in a derogatory way. How we got from molecules to man is exactly what we all want to know. Creationists believe in an instant molecules to man evolution. There was dirt, and then there was man after a decree by God. Most scientists believe it took a lot longer, but in the end, that is the question under discussion. I am aware that Darwinism doesn't concern itself with the origin of life. That's abiogenesis, a separate science. That's fine. We still all want to know how we got from molecules to man, even Darwinian scientists. In other words, there's just no point to the Intelligent Design theory. It doesn't accomplish any purpose at all. So Intelligent Design Theory allows for the physical universe to have evolved, as long as there is an intelligent designer directing the evolution through "conscious action." Well, that's too extreme. However, it is very difficult to prove a negative. A famous example is the White Raven argument. If you argue that all ravens are black, how are you going to prove it? 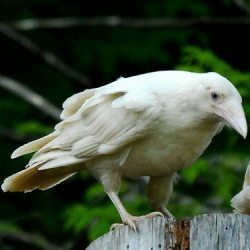 Until you find every last raven, and prove that you haven't missed a spot to look, you don't know that there's not, somewhere, a white raven. It's the same with Intelligent Design theory. The argument is that Darwinism can't explain how we got here. Darwinian evolution, ID theorists say, can't really prove or provide a mechanism that is capable of evolving all life from one original cell. How are you going to prove this? You are going to have to prove this by finding organs or organisms in nature that could not have arisen by gradual, step-by-step evolution. In fact, Charles Darwin himself agreed that such a discovery would be fatal to his theory. Intelligent Design theorists call this irreducible complexity, but like the white raven, how are you going to prove it? The problem is that down the road, something in nature is going to be found to show that the organ you chose is not irreducibly complex. This is what happened with bacterial flagellum, the original irreducible complexity argument. The other argument that Intelligent Design Theorists like to use is that information cannot increase in nature. This argument, however, is false. It's so bad, it's not worth commenting on here. The link will give you more information if you need it. Even if you could prove God, what would be the point? The job of science is to explain natural laws so that we can put them to use and benefit from them. For example, by learning the germ theory of disease, we now know to wash our hands, especially if we are going to do surgery. This is the point of science. If you could prove that God created the bacterial flagellum as is and that it can't be explained by Darwinian evolution, then what have you accomplished? No one, not even Christians, believes that, knowing this, a person will now be able to get God to create an organism or organ for our purposes. Science has a purpose, and it is not explaining the meaning of life. It is harnessing natural laws to our benefit. It is learning how the world came to be. "God did it" doesn't answer that question. For those of us that are Christians, we believe God created fire. However, that did man no good until man learned the rules of fire in nature. Man learned how fires were started, and then he could start his own and control them. It's the same with Intelligent Design theory. I personally believe that the universe is Intelligently Designed. I believe that the Intelligent Designer is the Father of our Lord Jesus Christ. However, I look for proof of that in the lives of those that follow Christ. God proved himself by sending his Son to earth (John 17:20-23). Science is not a means to prove God. God reveals himself to whom he wills. You may argue that the Scriptures say that nature declares God's glory. So it does! However, the person that doesn't believe when God speaks to his heart through creation is not going to believe because of the unverifiable argument of irreducible complexity. You're not going to prove God. The problem most Christians have with evolution is that it affects a literal interpretation of the Bible. Intelligent Design theory does nothing at all to resolve that problem. If ID is true: then evolution still happened; Genesis 1 still does not contain literal, 24-hour days; and death still occurred before the fall. Because this is true, ID advocates can legitimately claim that they are not preaching creationism; however, it leaves them with nothing at all to prove except "God did it." Don't get me wrong. I believe God did it. I believe God is creator so much that I've dropped the American dream and gone to live in a Christian community in order to live out what's described in the Bible and to reach the world for Christ. I've preached the Gospel of Jesus Christ in churches across the USA, in Africa, in Europe, in India, and even in Myanmar, a place many Americans have never even heard of. But proving God did it is the concern of Christians, not scientists! Darwinian evolution couldn't have produced the diversity of life we see from one cell. Therefore, an intelligent designer must have been involved. Besides being impossible to prove, ID is a philosophical argument that will never light a fire, cure a disease, or launch a spacecraft. It has no place in science. It's also an attempt to prove an unnamed creator by science rather than proving that the God of our Lord Jesus Christ is the Creator of all with a claim on all life, so Intelligent Design theory has no place in the Christian religion, either.